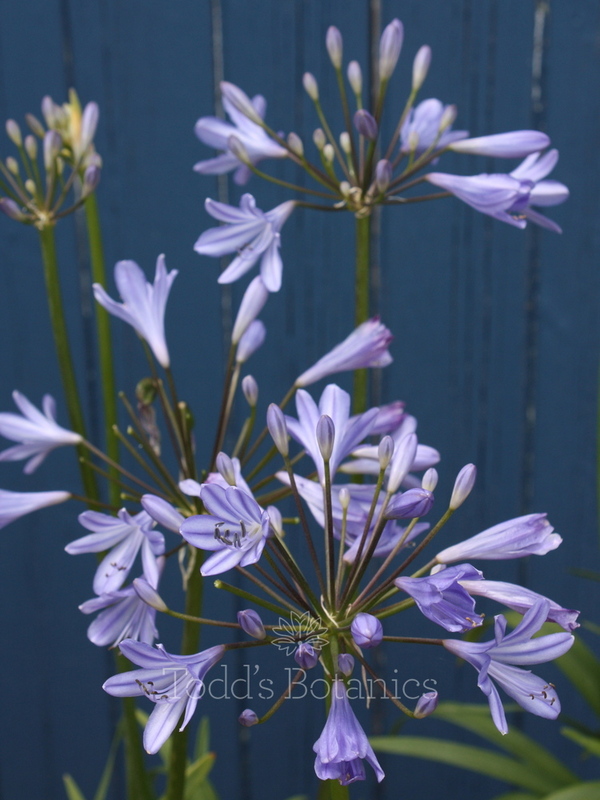 Agapanthus 'Peter Pan' This is a star performer for us, we love it and always use it in our Hampton Court Flower Show display. 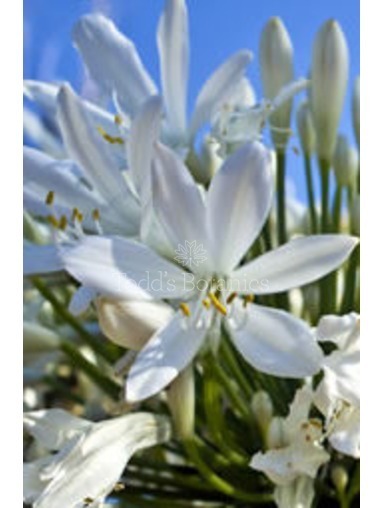 Its a compact Agapanthus which throws up multiple stems and flowers over a long period of time in mid summer. The flowers are a lovely sky blue. 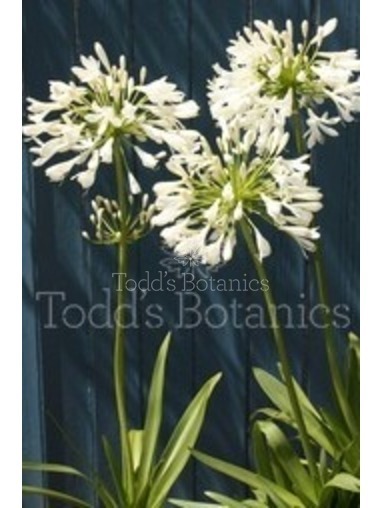 Agapanthus 'Peter Pan' is a reliably hardy and a deciduous agapanthus. 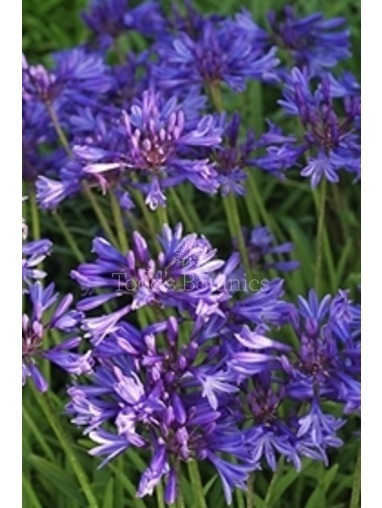 Peter Pan looks great at the front of the border or in pots. 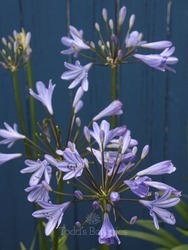 Agapanthus like it hot, sunny and well-drained for prolific midsummer flowering. 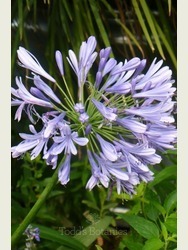 Great in a container or directly in the ground. Feed and water well during the summer months if kept in a container, allow to dry out inbetween waterings. Be careful not to over-pot to maximise the amount of flower produced. Fully herbaceous in winter. Dig a sufficiently deep planting hole and ensure that the rootball of the plant has been saturated in a bucket of water before hand. Loosen the soil at the bottom of the planting hole. Tip the plant out of its pot and position in the planting hole. Water the hole submerging the rootball with water. As the water drains away back-fill with soil so that the back-fill material is also really saturated. Firm in securely to avoid large air pockets around the roots of the plant and ensure that the soil is level with the crown of the plant. Water thoroughly a few times following planting depending on the time of year and rainfall. An application of general-purpose fertilizer at planting should be sufficient. A nutrient rich mulch may be applied in autumn or spring to maximize growth but is not necessary. Cut back frosted growth in autumn of herbaceous species. This is a good time to apply a mulch to the soil if available. Slightly tender species such as Penstemon and Verbena should not be cut down until mid spring. Irises should be deadheaded regularly throughout the season and the foliage shortened in autumn to avoid ‘windrock’ through winter. Division of clumping varieties such as Achillea, Salvia, Scabiosa and many grasses may be carried out every few years in autumn. 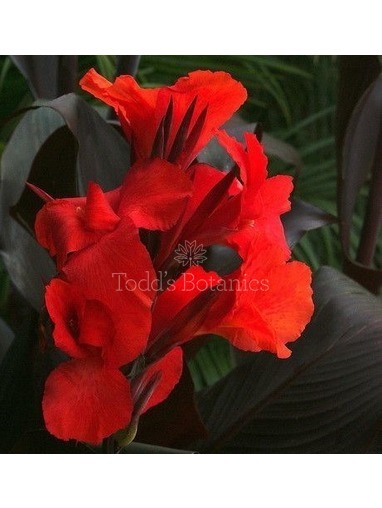 Irises should be divided in mid summer, following flowering when required. 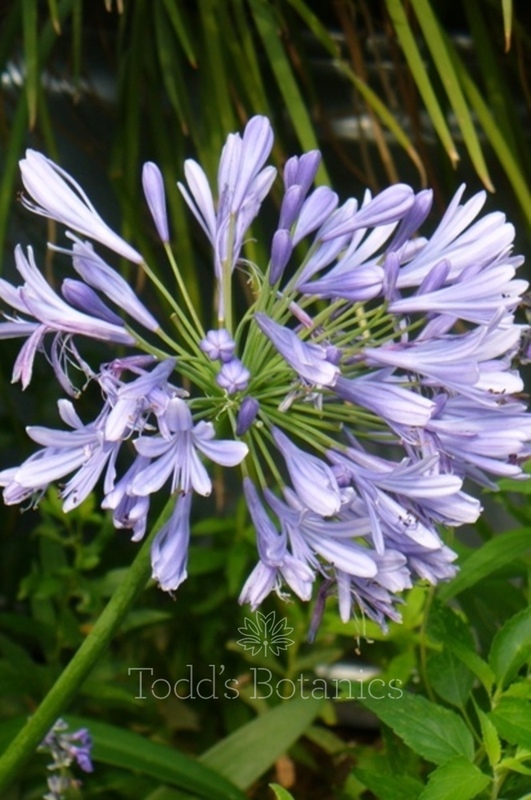 Agapanthus are best divided after flowering and prefer to be slightly pot bound if grown in a container.